Cooper is the Joy in Childhood Foundation’s Chief Joy Officer and the ambassador for the Dogs for Joy program. A golden retriever and labrador retriever mix, Cooper is a trained service dog hailing from Canine Assistants in Milton, GA. 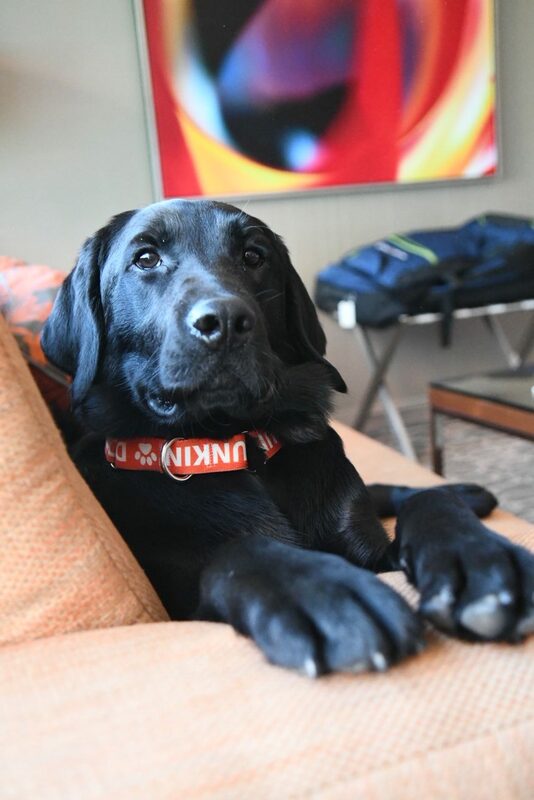 He comes to work every day at Dunkin’ Brands headquarters and brings the team – and the whole company – joy with his playful demeanor and wagging tail. Cooper also attends Joy in Childhood events like hospital visits and fundraisers. Follow us on Instagram to learn more about Cooper and follow his adventures!